Lock Washers are the foundation on which WCL has been built. Close to half a century of experience enables us to bring you one of the most comprehensive and diverse offering of quality tooth and helical spring lock washers available anywhere – from low-cost, highly competitive commodity washers to high performance products. 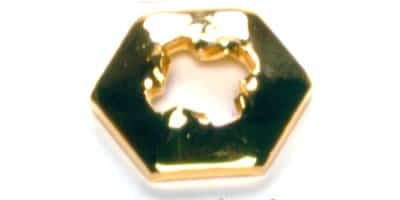 For the right Toothed Lock Washer at the right price, it’s WCL! (Standard & Mil-Spec) Provide maximum torsionsal resistance. 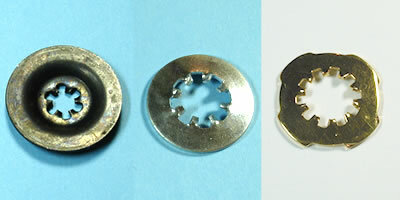 Work best with large head screws (round, pan, binding, washer head). (Standard & Mil-Spec) These work best with smaller head screws (such as fillister heads). Use where appearance warrants that teeth be hidden or where snagging or scratching could be a problem. (Standard & Mil-Spec) Sustain locking tension under heavy loads. Use with heavy bolts and nuts and with heat treated bolts. Strong internal teeth lock into bolt head or nut to prevent backoff rotation. (Standard & Mil-Spec) For use with flat and oval head screws having either 80° or 100° countersunk angles. 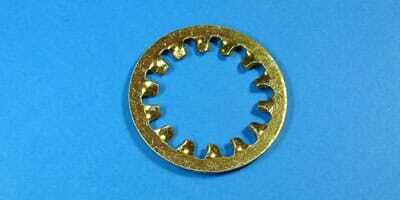 Where appearance or snagging are important considerations a version with a smooth external flange and internal teeth is available. (Standard & Mil-Spec) Ideal for electrical bonding. Use where large bearing surface is desired or to span oversized or elongated holes. 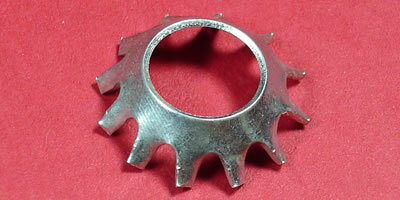 Also used as insert between two adjustable pieces to maintain their position after original setting. 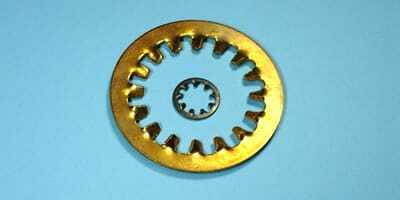 Washers Provide exceptional holding strength and withstand high torques. Ribbed for rigidity under load. Sharp points on periphery resist shifting and internal teeth lock into bolt head or nut to prevent backoff. Lock Washers Distribute heavy loads over wide area. Should be used with soft or thin materials when considerable force is needed to achieve a secure assembly. Also support fastening loads over large or elongated holes. 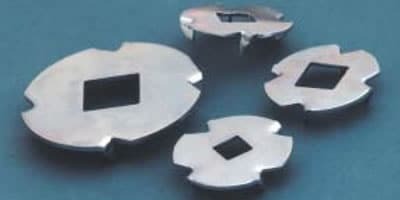 Lock Washers For use where resilience as well as force is needed when fastening in soft or thin materials. Distribute load over wide area and span oversized or elongated holes. 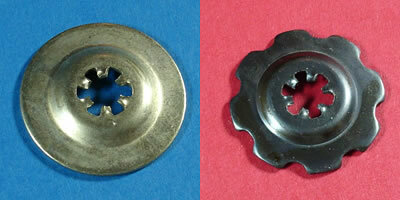 Lock Washers Use with screws and bolts having large diameter heads when extreme torques are not required. Span oversized and elongated holes. 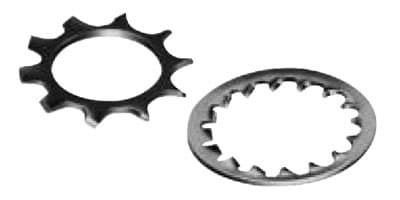 Washers with internal teeth are available where external teeth extend beyond screw head or where exposed teeth are not acceptable. 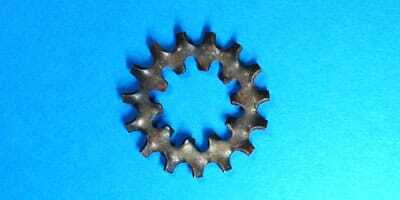 Lock Washers These tooth washers have a small O. D. in relation to I. D. Used with small headed screws and special narrow rimmed nuts. Ideal where clearance or appearance may be a factor. Available with external or internal teeth. 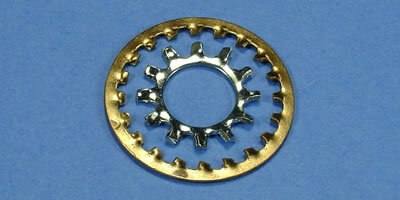 Type Lock Washers Used with adjustment screws to maintain position. Under load, two-way strut action strongly resists rotation in either direction. Provide torque brake and contribute to the maintenance of precise tension in the assembly. 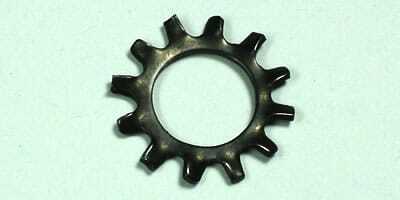 Pipe Lock Washers Fit pipe diameters. 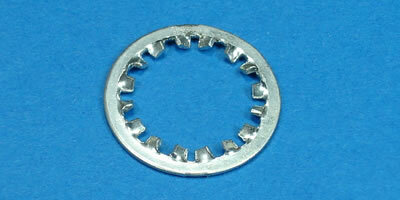 Used with nuts having large internal diameters in relation to their outside diameters. Typical applications include lamp and instrument board assemblies. 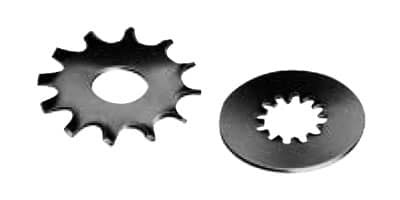 Metallic Torque Washers These square holed washers are designed for use with carriage bolts. Four bent prongs on washer can be embedded in wood, plywood or other ductile materials, making the washer self-retaining during assembly. Square shouldered carriage bolt mates with square holed washer and will not rotate.